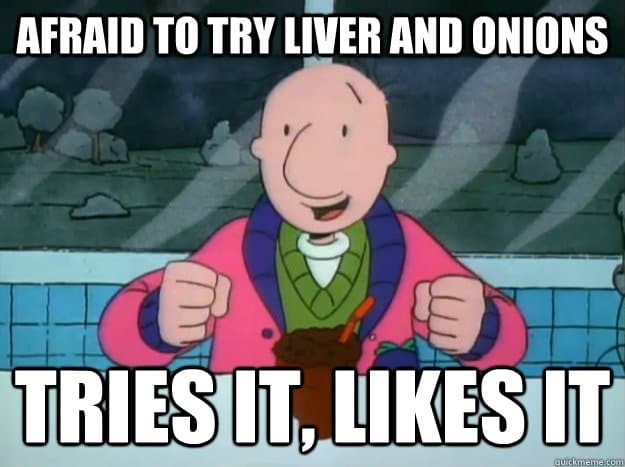 I constantly hear how good liver is for you. 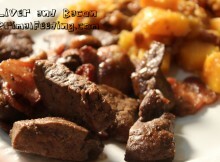 I even had to write a post about the benefits of eating liver just so I could do some research to see what is so special about it. It turns out there are some great benefits like the high vitamin and mineral count, but it is a little too high in some of those nutrients, so you might want to avoid eating too often. My life has been pretty much liver free up until this point. It was about time I tried my culinary skills on this beast of a food just to see what all the fuss was about. Everyone says liver tastes so gross, so I put it to the test. The first thing I noticed about liver was something I liked. It is so cheap! The second thing I noticed I didn’t like. I looks gross. 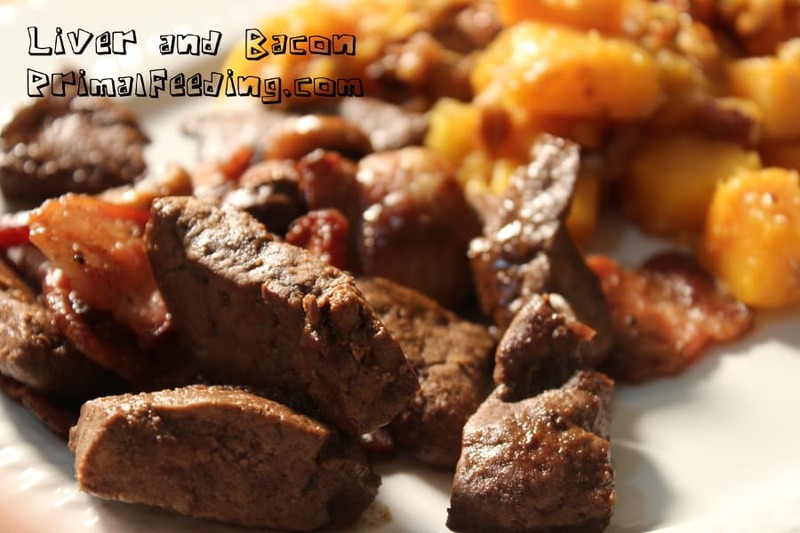 So I put my thinking cap on and though…”Bacon makes everything better!” So, I cooked up a bacon and liver recipe. I really didn’t dislike the taste at all. The texture was a bit strange to me, but I’ll definitely be eating this again. In a large pan on medium-high heat, start cooking the bacon. When the bacon juice creates a bit of a layer on the pan, add in the mushrooms with the spices. 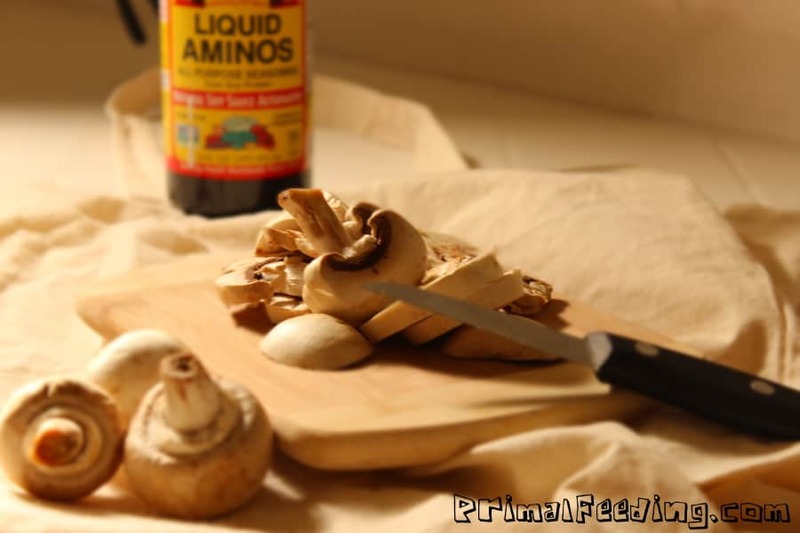 Cook and mix for about 5 minutes, until the mushrooms are soft. Push the mushrooms and bacon to the side of the pan, turn the heat to high. Add the liver to the open space and sear the meat on each side for about one minute. Cook for 5-8 minutes. Mix everything for the last minute while cooking. Primalfeeding.com is a participant in the Amazon Services LLC Associates Program, an affiliate advertising program designed to provide a means for sites to earn advertising fees by advertising and linking to amazon.com.